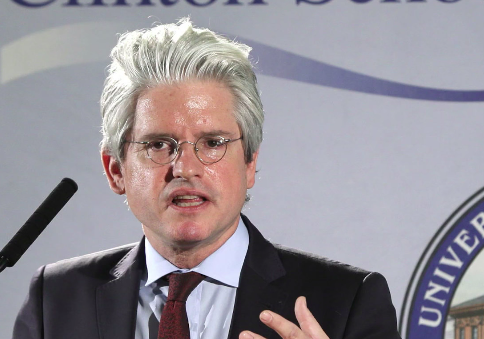 David Brock blames Sen. Bernie Sanders (I., Vt.) and his personal attacks against Hillary Clinton for her loss in 2016 and says Democrats will suffer a similar defeat in 2020 if he continues with them. Brock, who himself runs an opposition research firm, complained in a piece for NBC that the very group of people who undermined Clinton are now engaged in a "coordinated effort" to do the same to former Texas congressman Beto O'Rourke. Brock says that the efforts to question whether O'Rourke is a "true progressive" are reminiscent of the tactics used against Clinton. Though the 2018 Democratic presidential primary has only just begun, those same long knives—mostly courtesy of supporters of Sanders' prospective candidacy—are out for outgoing Rep. Beto O'Rourke, (D., Texas), charging that he is not a true progressive. Berniecrats seem determined to dust off the same destructive playbook this time around, even though the attacks against O'Rourke are flimsy and misleading. O'Rourke unseated a conservative Democrat in a primary and never tacked right in an election in deep red Texas. He has run in favor of federal legislation legalizing marijuana and the impeachment of President Trump, and although he fails their litmus test on free college tuition, their claims that his support is weak for Medicare-for-all don't match his record: As a Senate candidate, he said he would vote for it. Brock argues that the attacks are "driven by the far left and lapped up by the press" and warns they could be destructive for the party. He also took aim at the Clinton campaign for not letting him and his Super PAC combat the attacks by Sanders supporters, indicating that he was signaled by Clinton allies that his help was unwelcome. "Though they were hardly in charge of our messaging, it was made very clear to us by our allies at her campaign headquarters that any efforts on our part to push back against the left-wing anti-Clinton brigades were unwelcome assistance; they feared alienating Sanders' voters," Brock wrote. "That head-in-the-sand posture was ultimately self-defeating." This entry was posted in Politics and tagged Bernie Sanders, David Brock. Bookmark the permalink.